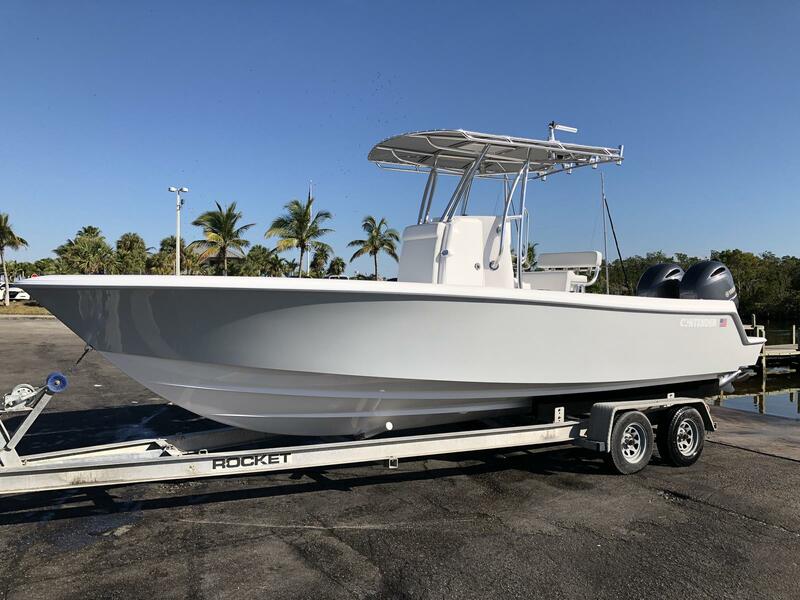 An Eric’s Contender Stock Boat. 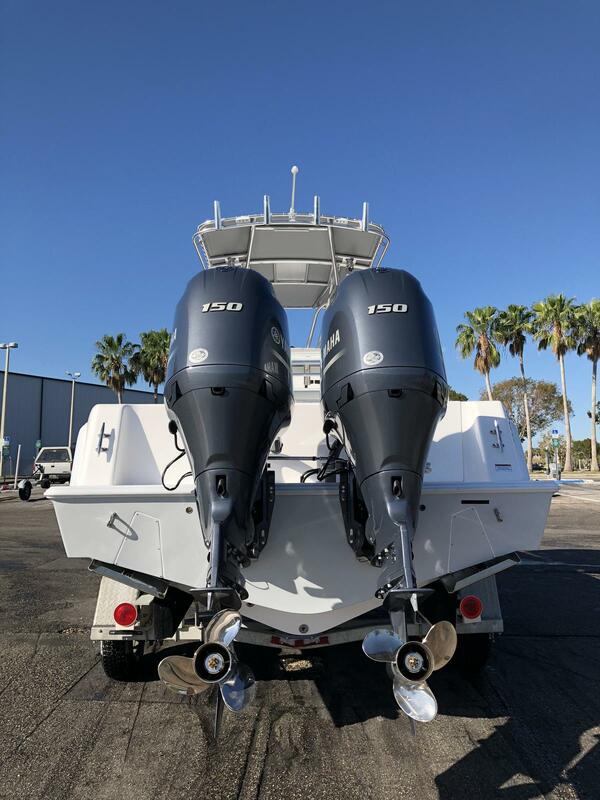 Direct from the factory this 25T with Whisper Grey sides, and Matterhorn white Bottom comes equipped w/ New Twin F150 Yamaha Outboards with Hydraulic Steering. 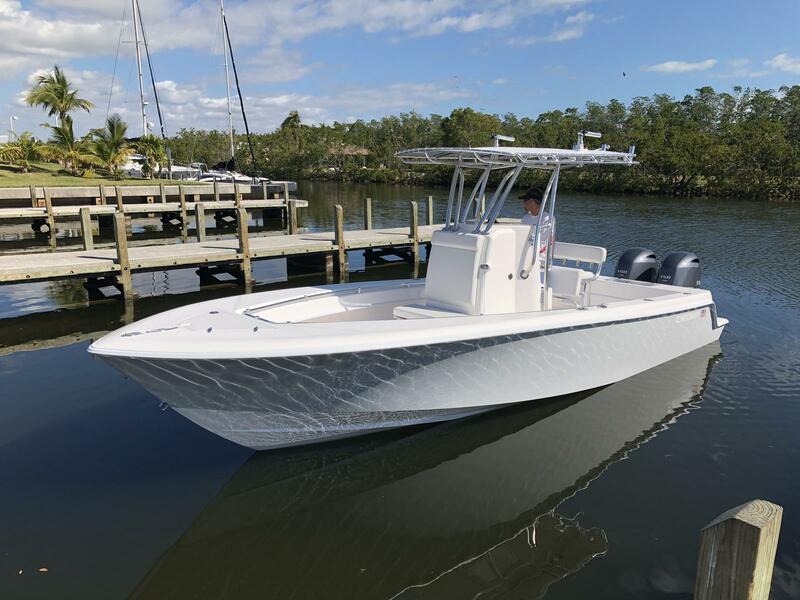 This ECBS stock boat is fully customizable, and can be loaded with all the bells and whistles you desire. Trailer is not included, but we can aid in purchasing one for this Contender through one of our vendors. 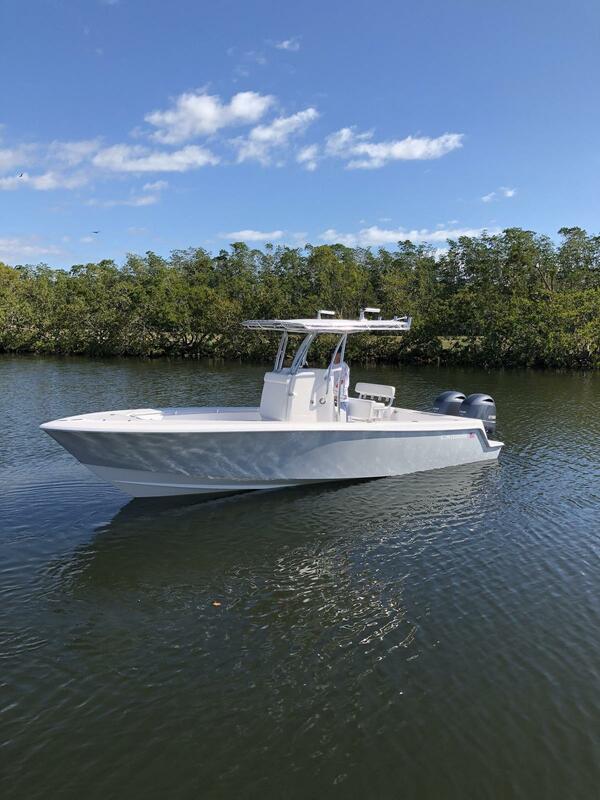 Electronics, Rod Holders, Navigation, and many more options available for installation through the shop. We left most of the boat alone, to allow it’s eventual owner to dress it up as desired.